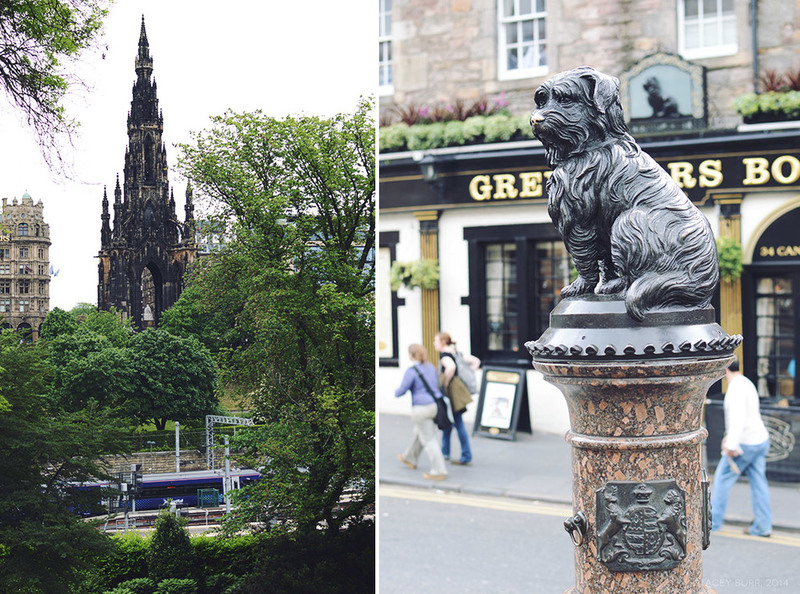 Heading further into New Town, I loved taking moments to stop and gaze around at Edinburgh's city scape. 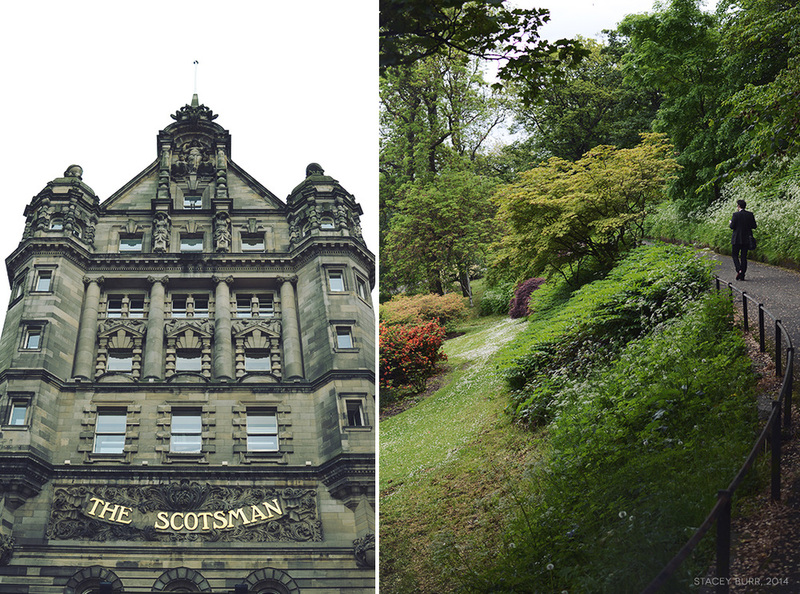 Princes Street Gardens was, until the 1760s, a heavily polluted loch created for medieval defence purposes. 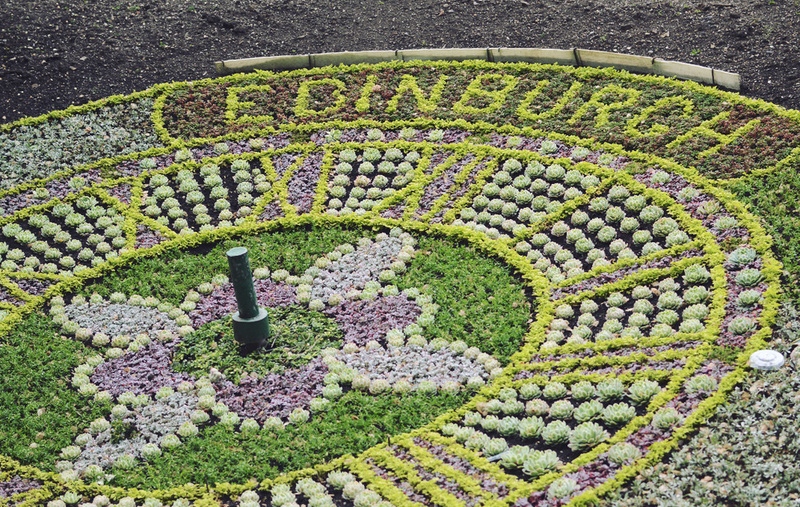 By the 1820s, they had drained the filthy loch and the beautiful park separating New and Old Town took its place. 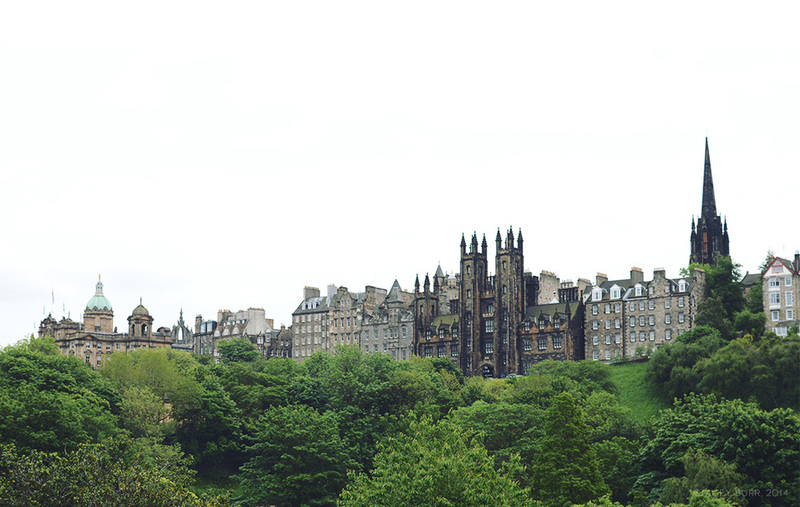 Visitors and locals alike often can't help but be impressed by the historic Edinburgh Castle, standing proudly on Castle Rock (an extinct volcano) at the head of Old Town. There has been a castle in it's place since the 12th century, but it's obviously been re-developed depending on its occupants since then. I will be heading there for a touristy wander at some stage. 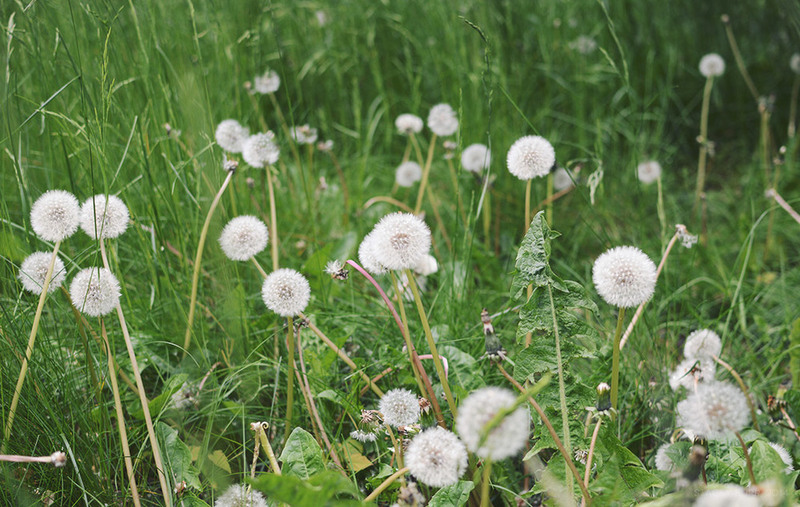 Lying in a patch of dandelions? Not weird at all in my opinion. Perhaps next time. Thanks to the ever helpful yelp, I found a delightful place to try my favourite breakfast, Eggs Benedict and a flat white, Toast. Delicious! Highly recommended. 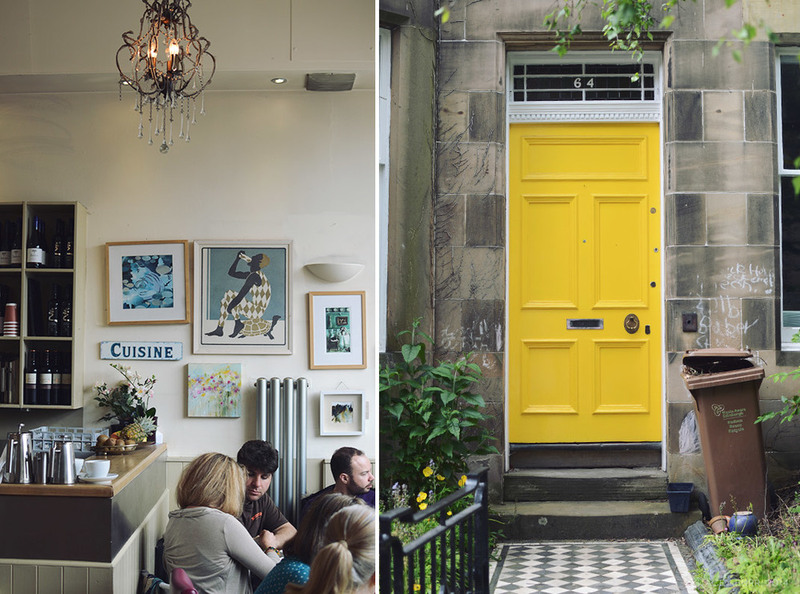 Here you can also see my new love of brightly coloured doors coming into play. Sigh. One day! Art and architecture thrive here. I cannot wait to experience the festival in all it's glory, coming up in August. 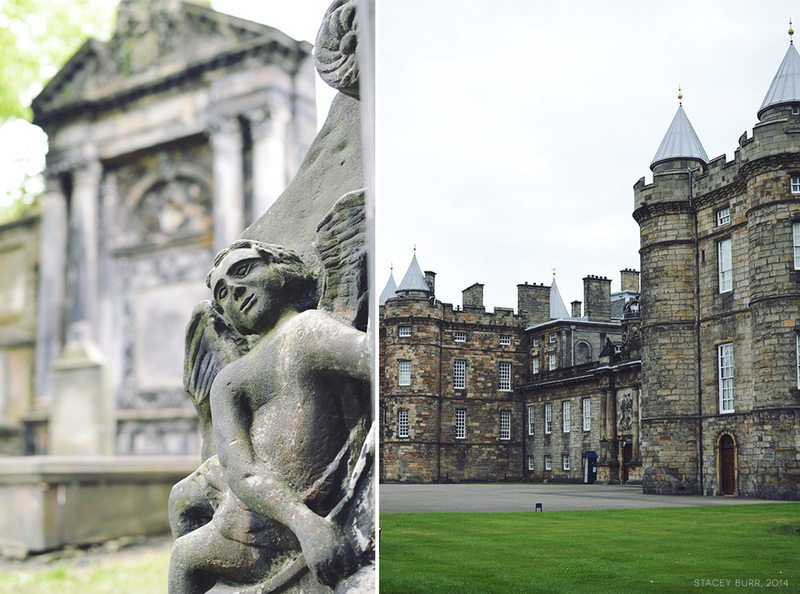 Even the texture of the buildings is amazing... Holyrood Palace (The Queen's Scottish residence, below right) is also on the to do list. A rather nice abode I must say. I so loved soaking up the history of this town and was overwhelmed after only 2 days. The Scotts have a delightful quirkiness engrained in so much that they do. 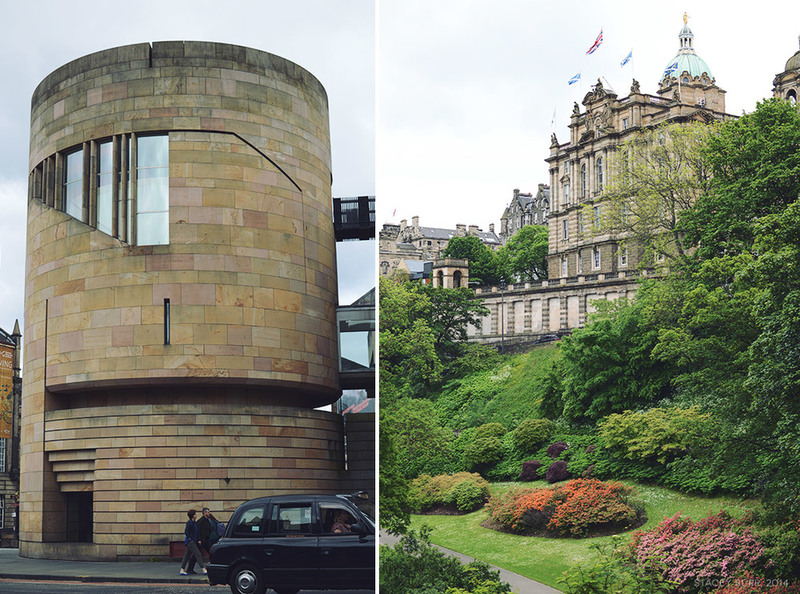 My next post shares my exploration of Calton Hill, the Scottish National Portrait Gallery and a visit to Elephant House to embrace my Harry Potter nerdiness. 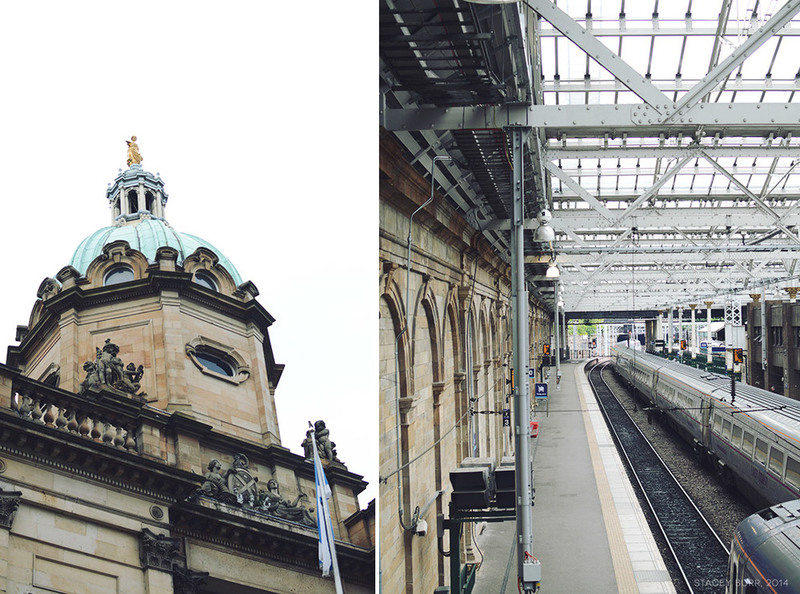 The second I walked off the train, onto the platform at Waverley Station, I was in awe of this city. 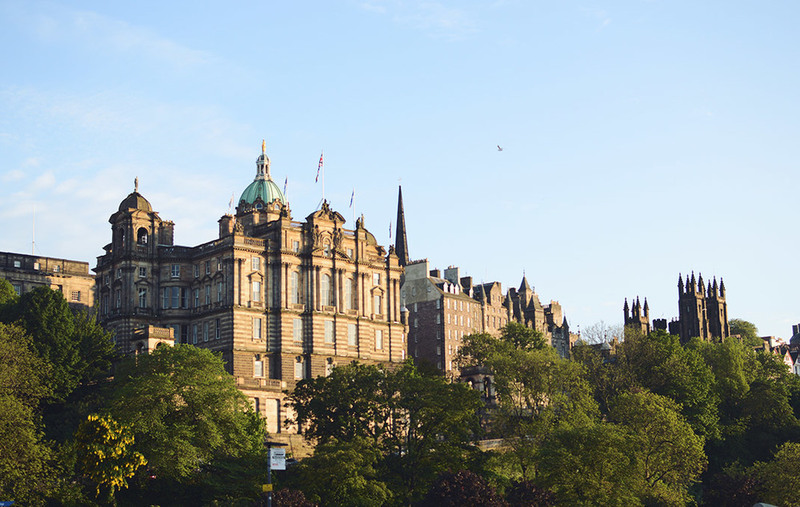 On my left stood the gloriously historical, hodge-podge skyline of Old Town, while the Georgian elegance of New Town's Princes Street sat neatly in contrast to my right. 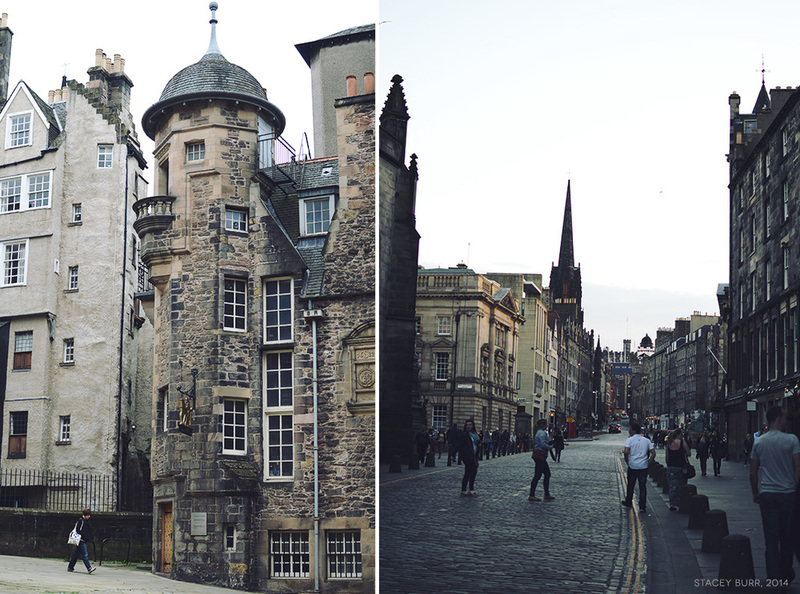 The architecture in Edinburgh is so varied and so wonderful. Even Waverley Station inspires! 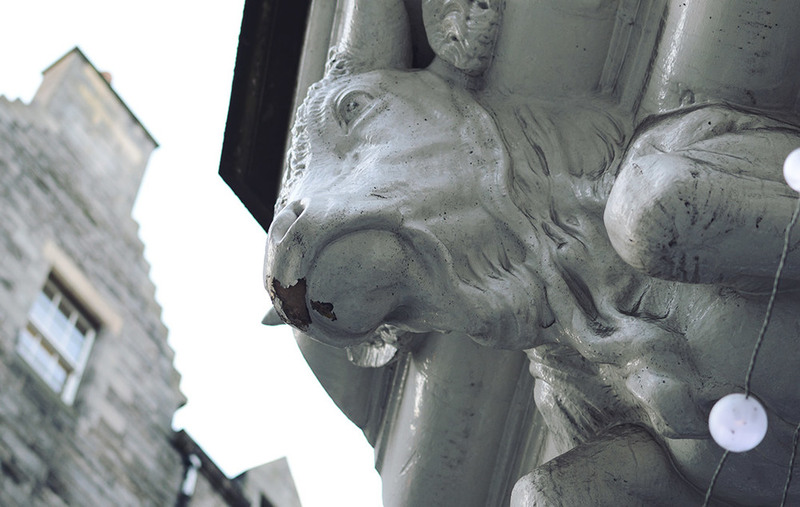 Here are some shots I took during my wanders around Old Town. 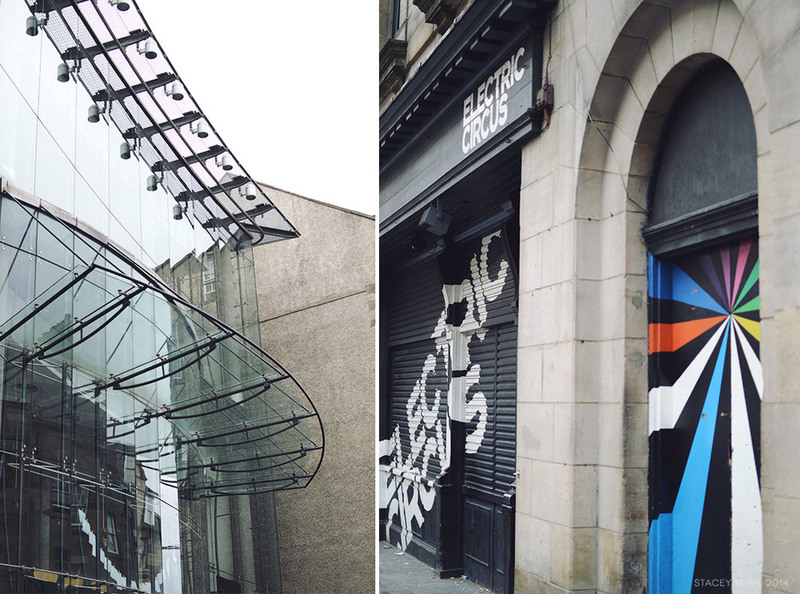 The famous Victoria Street's double layer, curve and colours house a mixture of shops from books and nick-nacks to coffee and I spent a thoughtful couple of hours walking through Greyfriar's Churchyard. 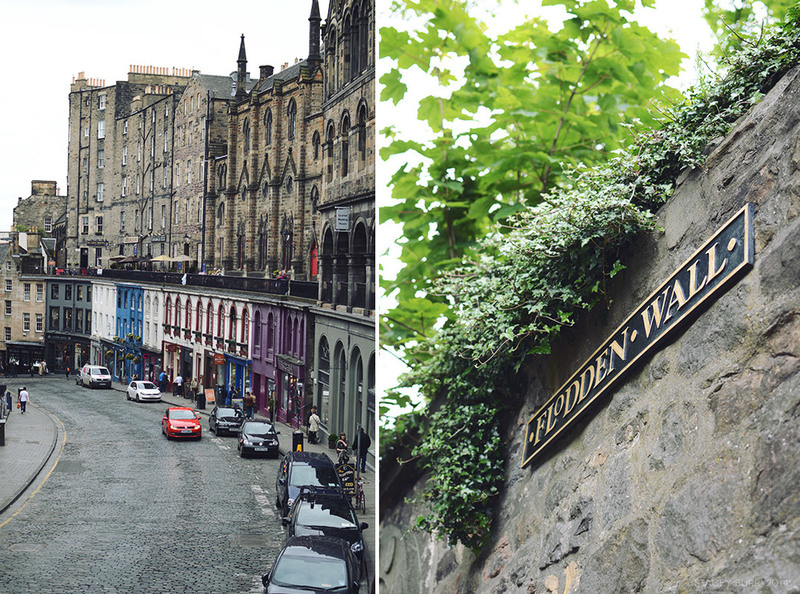 I spent my first visit to Edinburgh without a smartphone, which in hindsight was a blessing in disguise. I allowed myself to get lost, but if I needed to, I turned to paper maps and actually used my noggin for a change. 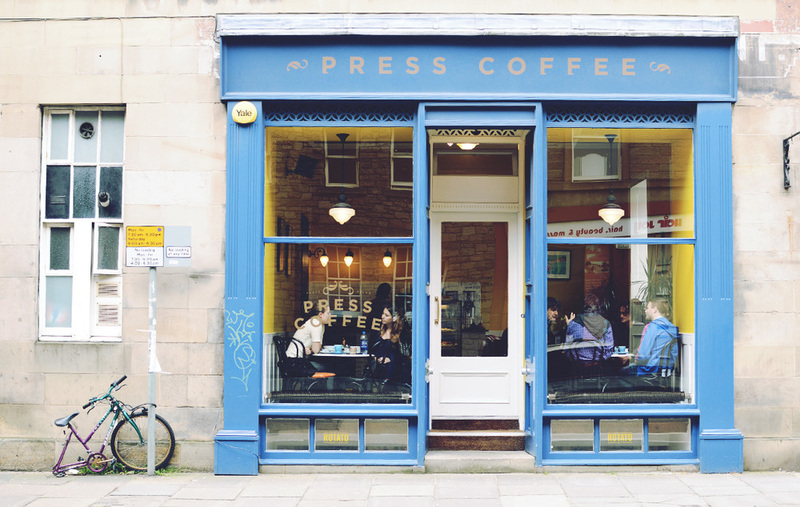 I really love the city's abundance of coffee shops, galleries, print shops, and bookshops. 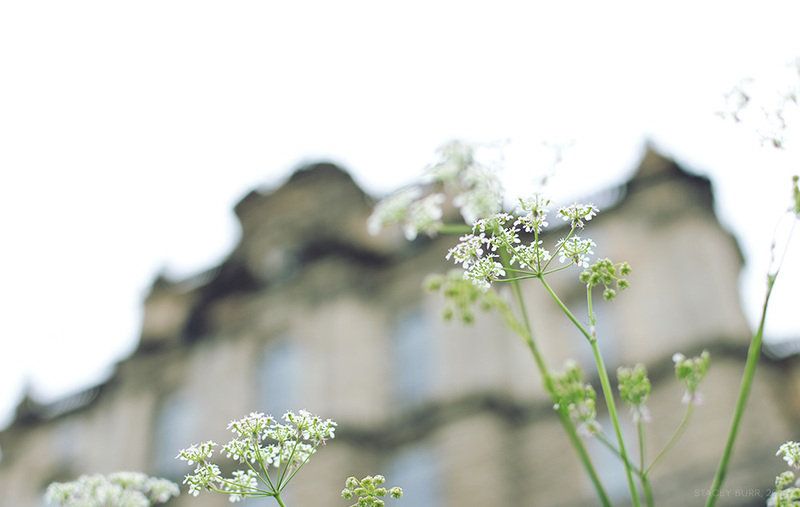 Creativity is everywhere and the temperamental weather, going from cloudy to warm and sunny in minutes, coupled with the lush greenery, cobbled streets and confused alleyways and striking architecture all together make me want to write, paint and photograph until the day is done. No wonder so many literary greats were based in this city. Look up. This is so important whilst travelling. With heads down focused on phones or arbitrary conversation, we miss so much. Above you can see what I mean about the glorious hodge-podge. of buildings. Filament Coffee on Victoria St makes a damn good flat white. The reading material is equally great. Hip, so very hip. Delightfully reminiscent of Cape Town in many ways. 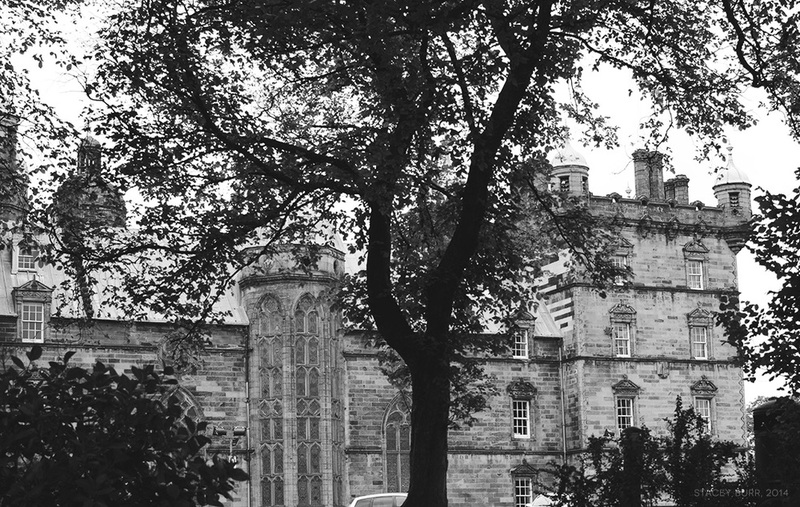 It is said that the over 350 year old George Heriot's School inspired J.K.Rowling's Hogwarts. I saw this quote whilst walking, during my first night in Edinburgh. Rather fitting I must say. Too true Tolkien. 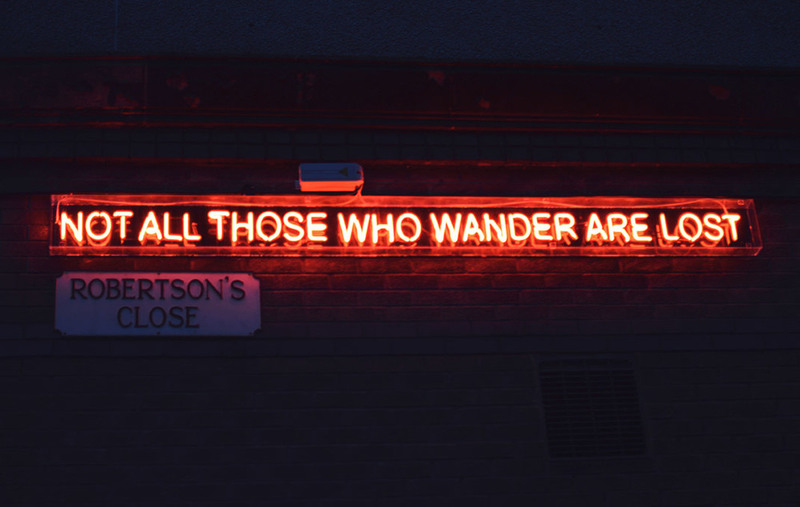 Who cares if I was lost at the time? There's something so delicious of being in a completely new place. 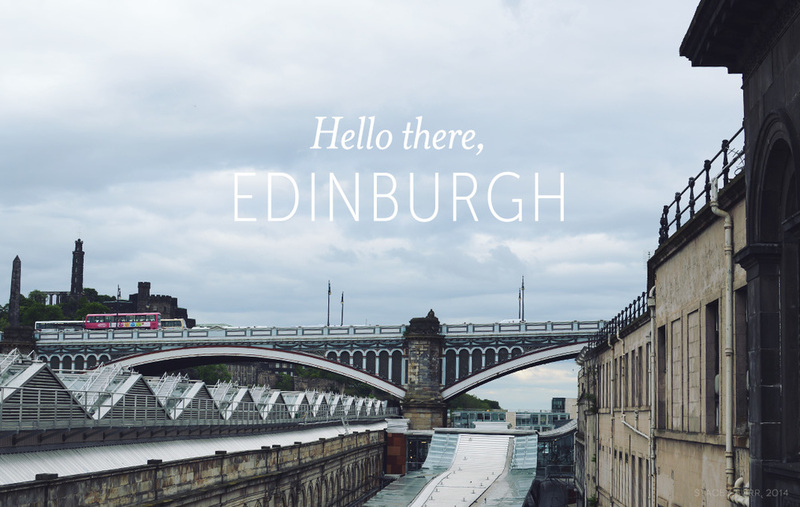 Check in soon for more from my first visit to Scotland's capital. Over and out.